According to the club, Dlangalala requested to leave his post in December last year. Bucs said on their website: 'Orlando Pirates Football Club has parted ways with Mr Zipho Dlangalala. 'Dlangalala, who was the head coach of the Orlando Pirates Multichoice Diski Challenge team, requested to be relieved of his duties in December last year. Dlangalala leaves the Pirates reserve team in eighth place on the table with 14 points from nine matches. The first team returned to training yesterday under the watch of interim coach Augusto Palacios. 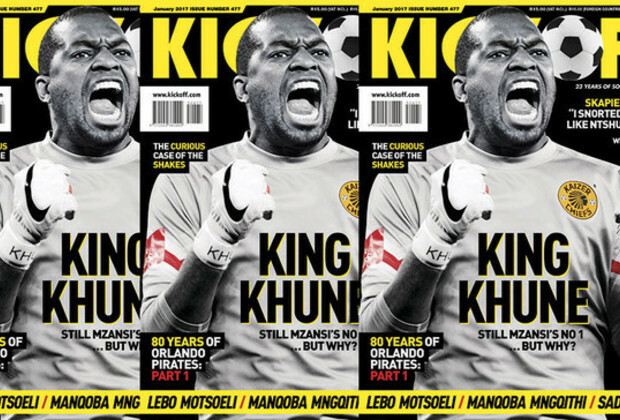 Grab the latest copy of KICK OFF Magazine, on shelves now, to read the first instalment of our tribute to Orlando Pirates as they celebrate their 80th anniversary! Prefer reading KICK OFF Magazine on screen? DOWNLOAD a digital copy of the magazine here!